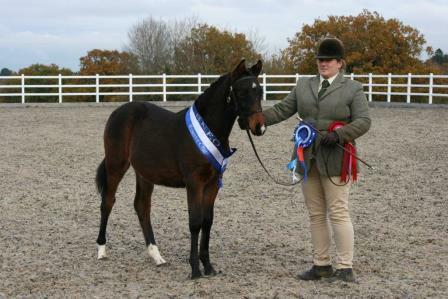 We have been fortunate enough to purchase this fabulous mare from DST Sports Ponies UK (website link through progeny below) who has achieved State Premium status, having qualified for and then competed at the Westphalian State Championships in July 2008. This is the highest graded status a mare can achieve in Germany and is highly regarded by breeders. 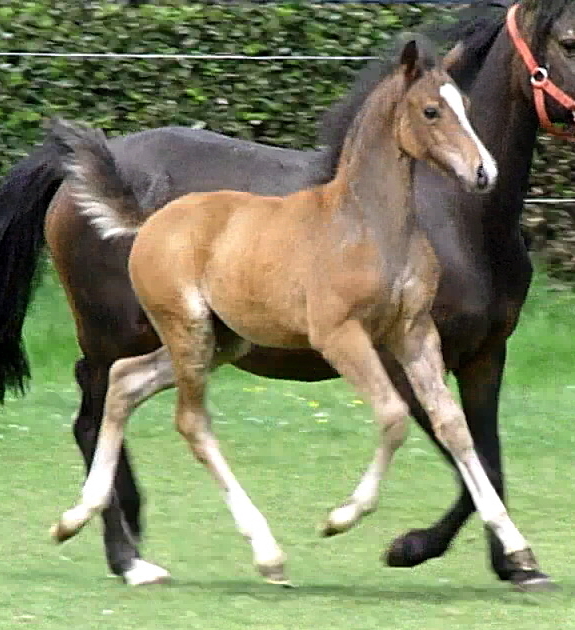 She has a fantastic temperament, amazing movement and superb conformation. 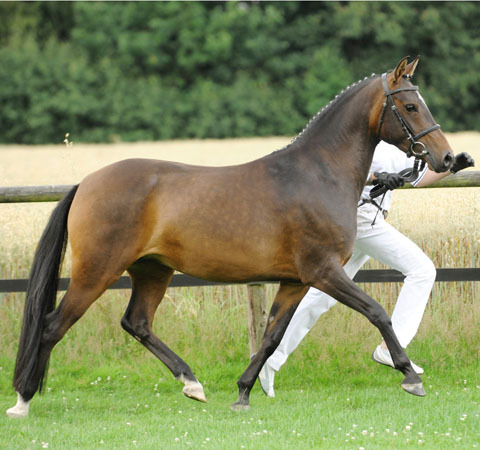 Her sire Batman was reserve champion of the 1998 Westphalian licensing and became reserve champion of the NRW-stallion championships in 1999. In 2001, he participated at the Bundeschampionships, in 2002 he made it into the finales. In 2002, he became reserve champion of the Westphalian championships of the dressage ponies. 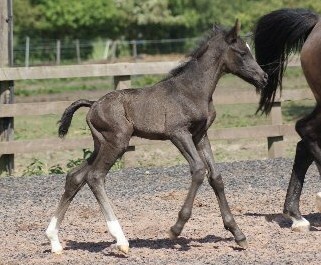 By now he has countless wins and places up to L-dressage classes. 7 of his daughters were awarded state-premium title, one of his sons got licensed. 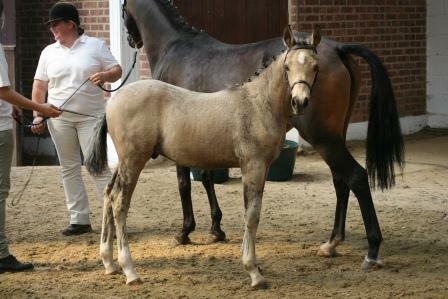 A full sister to Belle Vue qualified for the 2009 westphalian Elite Mare Show in Muenster-Handorf. Dam sire Principal Boy has 17 licensed sons so far, many state-premium daughters and he produced lots of successful sport ponies, among them the three Bundeschampions Pilgrimâ€™s Red (3 y.o. stallions), Pamira (6 y.o. jumping ponies) and Playback (5 y.o. jumping ponies). 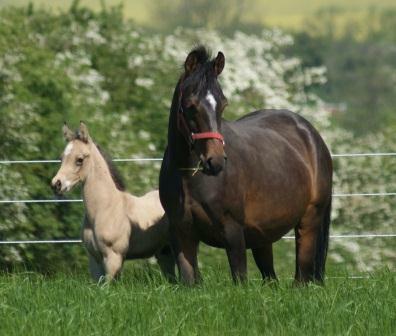 Grand dam Pia produced four state-premium mares and one licensed stallion, Bonfire, (also by Batman) who is a 3/4-brother to Belle Vue.